Outbrain – the world’s largest content discovery platform – has been announced as the platinum sponsor of this year’s Content360. As part of the sponsorship, Outbrain will be hosting the Content Café, a half-day, power-packed simulation designed to let you hone your content strategy skills. With in-depth sessions, engaging panels, and real-world case studies from brands such as Visa, Temasek Holdings, Nissan, PayPal, Fuji Xerox, Marina Bay Sands, Dell, Lenovo and more, Content 360 will touch on key issues the industry faces, making it one of the year’s most interesting content marketing events. The support from prominent international organisations as sponsors reflects the important role of content marketing in the future of marketing. Outbrain’s association with Content360 signifies its support and commitment to set the standards of best practices in content marketing and aid brands in driving content marketing excellence in their businesses to stay ahead of the curve. Content 360 will take place on 8-9 April at the Intercontinental Hotel in Singapore. For more details visit the website. To register, please click here or contact Joven Barcenas at jovenb@marketing-interactive.com or call +65 6423 0329, +65 98205195. 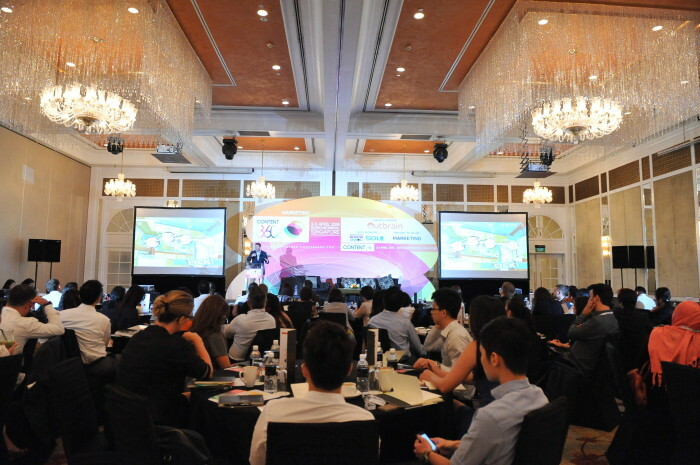 For speaker or agenda queries, please contact Preeti Varadarajan at preetiv@marketing-interactive.com or call +65 6423 0329.